I am the kind of person who looks at a restaurant’s menu online before she goes out to dinner. I like to have an idea of what I’m going to order ahead of time, to cut down on the on-the-spot decision making. 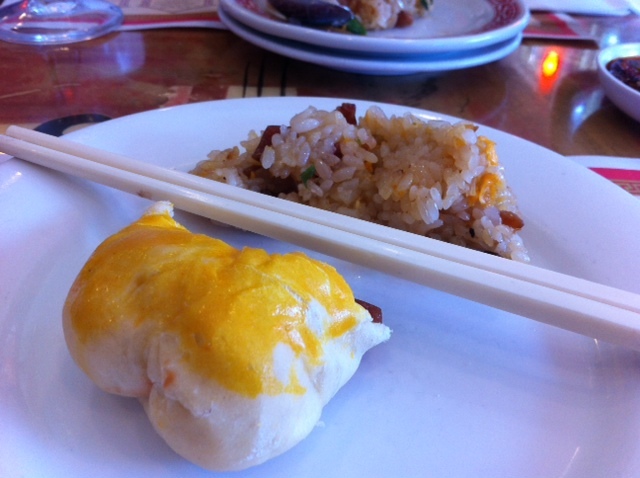 But I found out over the weekend that it’s much harder to plan your meal when you’re eating dim sum. This particular meal made it on my 27 list mostly because Husband has raved about it, and I’m always up for trying new things. 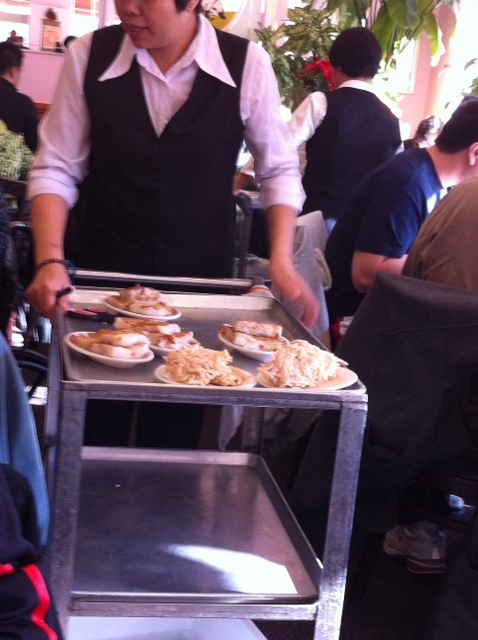 And, to a degree, I knew what to expect: servers pushing around carts full of food that we could say either yes or no to. 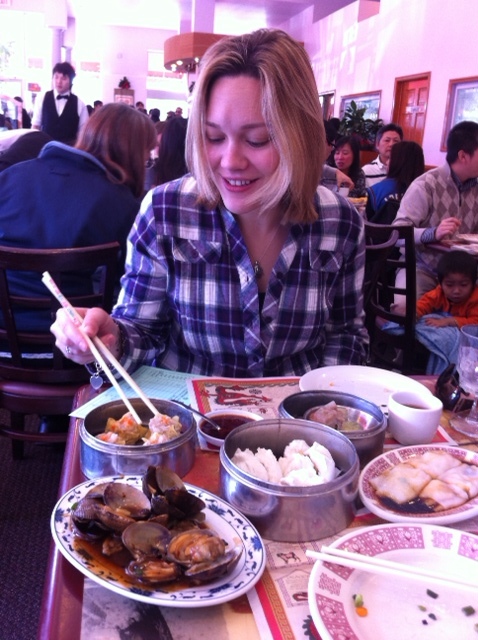 What I didn’t know was how competitive/frantic dim sum could make me feel. The first couple carts came around fairly quickly, and we enjoyed pork buns and sticky rice – two of the best dishes of the day. But then there was a lull. The next carts I saw were loaded with clams and shrimp and beef and chicken…but they were empty by the time they got to us. And I think that made me even hungrier. I know it added to this frantic need I felt to have to choose quickly (and a lot) once the server stopped at our table. 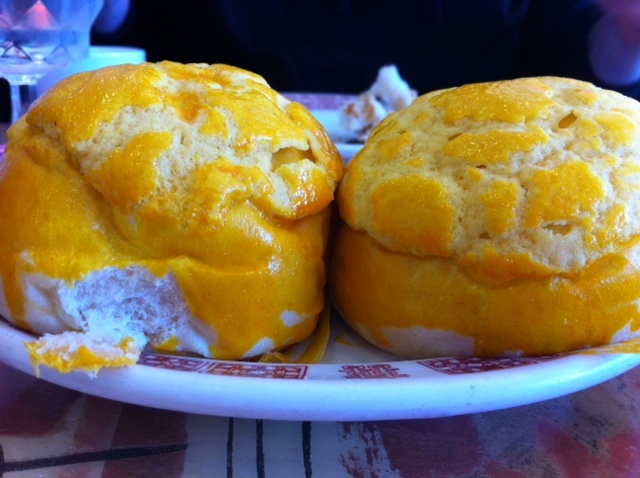 In my defense, the custard bun was fantastic – possibly the best dish of the meal. But it probably would have been just as delicious if I’d been a little calmer about the decision. When I listed this as a 27 goal, I didn’t have a set plan in mind. If pressed, I thought maybe I’d go somewhere for a week-long mission trip of sorts. And I’d probably go somewhere in Central or South America. Somewhere relatively close, for a relatively short period of time. Suffice it to say, I was a little off. And by a little, I mean by about 11 weeks and several thousand miles. In roughly two months Husband and I will be leaving for a three-month volunteer stint with the Umbrella Foundation. In Nepal. We’ve both wanted to travel and volunteer, but it’s never been the right time – a common excuse. After reading Conor Grennan’s Little Princes (I can’t recommend it enough), we decided that we could make it the right time. It was completely within our control to seize this opportunity and have our volunteering adventure. We’ll be spending three months working with children who have been displaced, orphaned, or trafficked – living near them, sharing meals with them, organizing activities for them, and, undoubtedly, learning from them. Part of the preparation for this volunteer work is, naturally, fundraising, which covers both volunteer and kid costs. If you feel so inclined, please visit our fundraising page, where you can also learn a little more about the trip and the inspiration behind it. If not, that’s okay, too, but I still encourage you to read Little Princes if you get the chance. It’s rare that I call a book life-changing, but for this one, I can’t think of a better way to describe it.